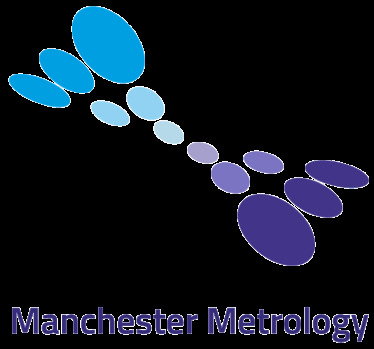 Metric, 2- Pc. 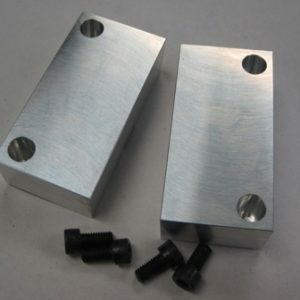 Set Machinable Aluminium Soft Jaws. 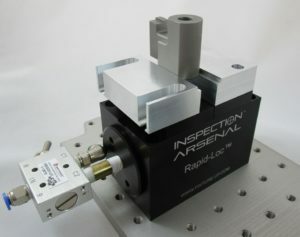 Use with the Rapid Loc™ Vise for holding parts during CMM inspection. Can be machined to hold one part or multiple parts per vise. One movable and one fixed side. Made from aluminium. Set screws included. Set of 2. The machinable aluminium soft jaws can hold one part or multiple parts per vise. Use with the Rapid Loc™ Vise for holding parts during CMM inspection. Made from aluminium, set contains 2 pieces. Other Rapid-Loc™ Vise and Accessory parts available. 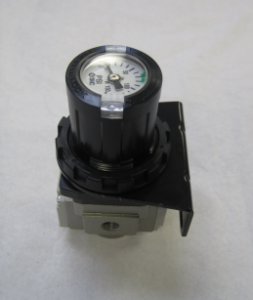 (Metric) Air Regulator with Pressure Gauge and Mounting Bracket for use with Rapid-Loc™ Air Vise. 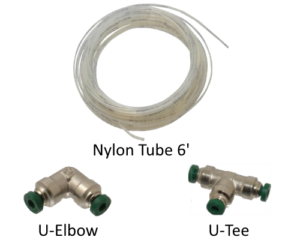 Includes built-in Pressure Gauge, regulating range = 7 – 125 psi. Dimensions = 63.5 H x 36.5 W (mm). 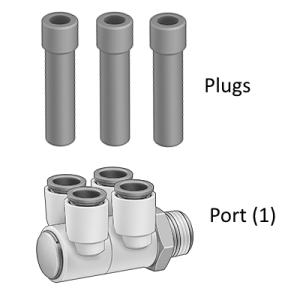 Create your own multiple-vise custom assembly with additional Multi-Vise Port with 3 plugs. Designed to be used with the Rapid Loc™ Air Vise for holding parts during CMM inspection.